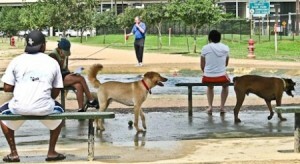 Home » Behavior » Your Dog & The Dog Park; Are They a Good Match? Everyone loves to see their dog run and play freely without the restrictions of a leash or small yard. It’s even more fun when our own canine companions can romp and rough house with other dogs of all ages and sizes. This is why dog parks were created, remember, a tired dog is a happy dog. They give our pets the ability to play, exercise and socialized among their own kind. However, if you have ever been to a dog park you have probably also seen the one or two dogs and their owners who just did not belong there. How do you know if your own furry best friend is a good fit for the publicly open dog park in your area? 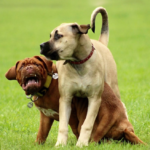 Your dog’s temperament and health will play a major role in whether or not your experiences at the local dog park will be successful or a major mistake. 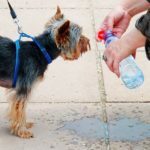 Just because you love your pooch and think he’s the best furry friend in the world does not mean you should look past his faults when determining if he can safely play at a public park with other, unknown canines. Do some trial runs with other dogs, preferably those you know are good with other dogs, and read your dog’s body language. 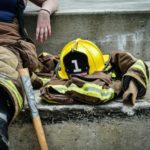 Is tense, upset or acting fearful? Is he trying to push the other dog around, or is he rolling in his back with submissive urination? If yes to any of those, discontinue the thoughts of taking him to a dog park and enjoy your leashed walks together or think about a training collar. If he is playful and interested in the other dog, though, with no signs of aggression, he may be a good contender for the dog park! Temperament is only one small piece of the dog park puzzle. Training is just as important, if not more so than temperament all on it’s own. If your dog cannot drop anything and everything he is doing at any given moment and come bounding to you when you call him on the first try, forget the dog park and find some training classes instead. This command is a safety precaution any and all dogs should know very well before ever being taken off leash, be it in a fenced in dog park or without confinement. You need to be able to call your dog, and him obey, to keep him out of harm’s way. Just because you’re being careful about your dog’s well being at a dog park does not meant that other patrons are so diligent, and you can call him away from another dog that may be dangerous to your pet. It’s also far less embarrassing than chasing your dog around the park when it’s time to go home! One last thing to consider about your dog as an individual is his health. 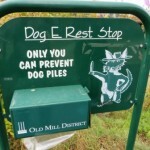 If your dog is elderly, or a puppy under 2 years of age you may want to reconsider taking him to the dog park. Older dogs and puppies are prone to injuries. New, growing bones and old ones alike are more frail and can break easily. This includes their hips, elbows and patellas. Even healthy, friendly dogs are at risk at the dog park. Vaccinated or not, disease and parasites abound in these places in which all kinds of dogs from all types of home lives visit regularly. Disease is spread through feces, saliva, blood, and even on feet. Fleas can be picked up from one dog to the next as well as other issues that may not even be noticeable at first, like early stages of mange. Taking your dog to the park is putting your trust into the other patrons that they care for their dog as much as you care for yours! 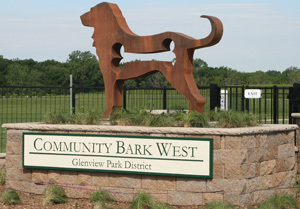 The dog park is one fantastic way to give your dog the freedom to exercise and socialize the way he wants. Running, jumping, tackling and wrestling can be far more fun than many pets could imagine, but at what risk? You have to ask yourself is taking the risk of disease, parasites and even injuries either from accidents or an aggressive dog is worth while. You may choose to stick with a log jog on a leash! «Can Dogs Drink Milk? The Answer May Surprise You!